The book I co-authored with NOFX, NOFX: The Hepatitis Bathtub and Other Stories, was released on April 12th and managed to crack the Top 100 list on Amazon and the Top 50 at Barnes and Noble within the first week! May as well get some reading done while you wait! 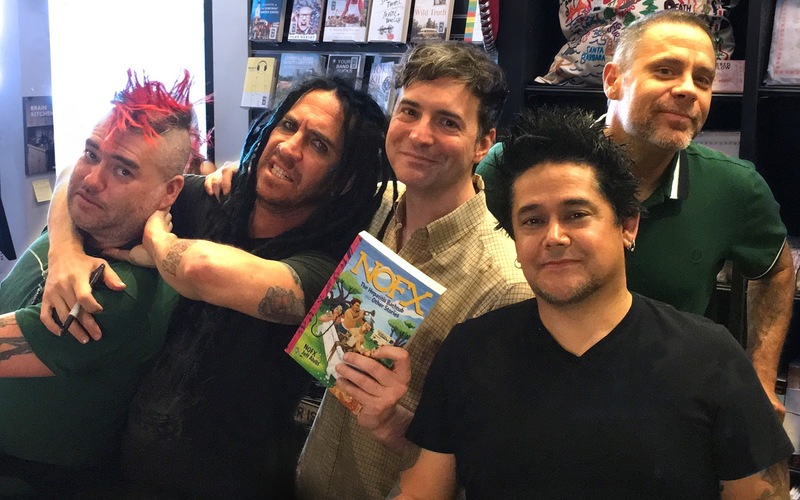 Really loving the t-shirts they made for this tour... the Seuss parody was the original cover concept for the book, and the Pepsi shirt reads "NOFX: The choice of a Hep C Generation." This is the first instance of Hepatitis Bathtub cosplay I've seen! The pink polo shirt with the safety pin is a reference to Mike's first chapter. Thanks to everyone who has been supporting the book and saying nice things about it online! I'm planning to attend the book signings at the Doylestown Bookshop in PA and at The Strand in New York so hopefully I'll see you there!